Over the last years I have struggled to maintain the fitness level I wanted due to a busy schedule and not finding the right activity. I have done a variety of sports over the years and was looking for something new that could challenge me. 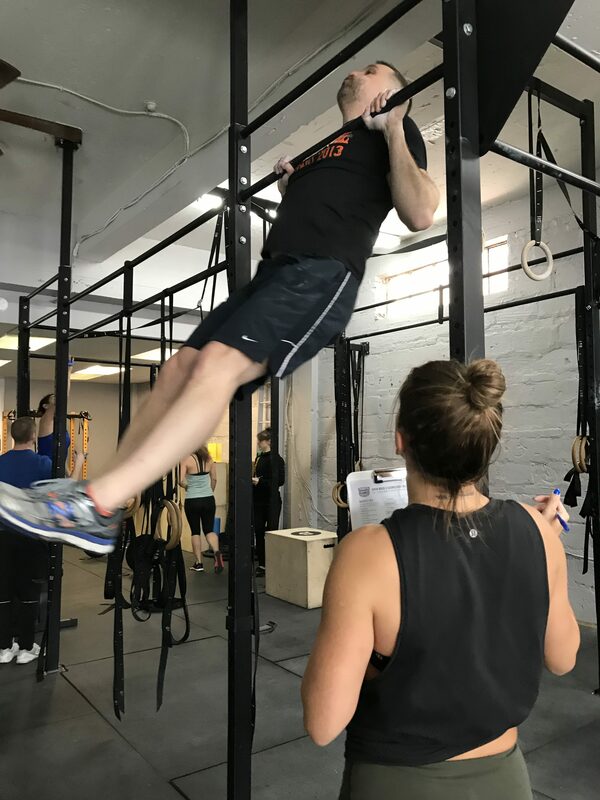 I have walked passed Westmount CrossFit for over 2 years and always hesitated due to a few injuries I had and the fear it was not going to help. I was tired of my inaction and I kept hearing good feedback about CrossFit. I liked the results I saw others getting. I wanted the same, so I decided to give it a try. I have to admit at first I was a little stressed and intimidated, but that changed real fast due to the people and the coaching. I realized everything can be scaled to challenge me at the right level, and the coaches were great at helping me find that balance. This really put me at ease and within the first weeks, CrossFit made me feel really confident. The most exciting and motivating aspect was seeing all the people I was training with, both men and women of all ages, pushing themselves and encouraging each other…. it didn’t feel like an individual sport at all. Handstand pushups! Never thought I could do it, but did! I would say lifting heavier, getting stronger. I never focused on strength in the past, and the muscle mass that I have added in the last months have made me feel great. I have had a desk job for my whole life, and my back muscles has gotten very weak in the last years. I used to regularly have my back give out. Since starting CrossFit, I no longer have back problems. 18.1 during the CrossFit Open. It had been about 10 weeks since I had started. I love pushing myself and I hadn’t pushed myself that hard in years! I don’t even remember what the exercises where, but I definitely remember feeling awesome after. After all, the real objective was just to feel good and to be healthy. After that day, I knew CrossFit was for me.